Perhaps the most controversial of our offered yoga styles, hot yoga has become something of a trend over the past decade. Whether you’ve tried it or not, every yogi has come across the idea of adding hot yoga to their practice repertoire. Originally seen as something of a passing fade, this challenging and invigorating form of yoga has proven that it is here to stay at several studios world wide, and Yoga Tree is proud to offer Hot Yoga to beginners and advanced practitioners alike. Originated by Bikram Choudhery, Hot Yoga was a practice that found its roots in traditional Hatha practice and blossomed during the seventies. Bikram is the founder of the Yoga College in India, which is founded on the backbone of twenty-six traditional postures that gave wings to the Bikram Yoga communities today. A practitioner of yoga since the age of four, Bikram allowed yoga to help him heal an injury to his knee that he suffered in his teens. From there, he founded a practice that invigorated the body and mind, detoxing with an incredible healing energy inspired by heightened studio temperatures. Hot Yoga crosses many exciting boundaries for many practitioners. It serves as the ultimate opportunity to sweat in a class without worrying about the judgments of others (you WILL break a sweat in Hot Yoga). This can be a challenge for many people. However, it must be noted that the lack of self-consciousness and the encouragement to push through discomfort is not the main focus. The greatest focus is on stretching the body while allowing it to detoxify in the heat. It is also important to note that since the body is more pliable in higher temperatures, students must ensure that they do not stretch to the point of injury. At Yoga Tree, we have teachers that encourage practitioners to remain comfortable while setting a challenge for themselves. Strength and vitality through the postures is encouraged, but if there is ever a time when the heat becomes to intense, students may take a rest posture such as Savasana or child’s pose. This is the main difference with Yoga Tree approach to hot yoga; students are encouraged to honor the mechanics of their bodies above any need to “push” through the postures. Due to the intensity of the heat and the need to be aware of personal limitations, hot yoga is not always recommended to beginners. 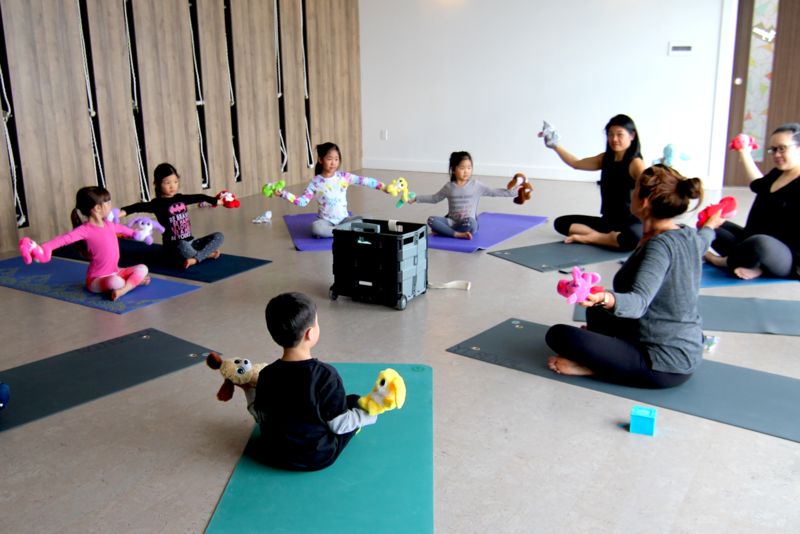 However, Yoga Tree offers classes with reduced heat for any beginners who want to try it for the first time, or who prefer a less intense practice. In addition, Hot Yin classes are also available for students who would like a slow, blissful stretch in a heated setting. When attending Hot Yoga, you will need your mat, a bottle of water, and any props you may find helpful. It may also be helpful to have a towel over your mat or nearby to catch any excess sweat during the practice. Make sure that you consume plenty of water! Once class has ended, it is advisable to have a shower immediately after. This will help to rinse off the toxins that are expelled during practice. If this is not possible, a shower at home is also more than acceptable. Be sure to take a look at our schedules and find a hot class that fits your needs. Though challenging in many ways, hot yoga encourages incredible vitality and is not to be missed!